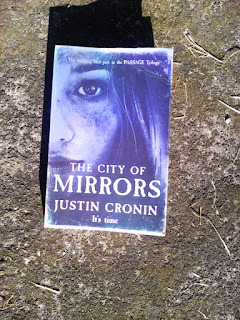 Diatonic Scale: Justin Cronin : The City of Mirrors. 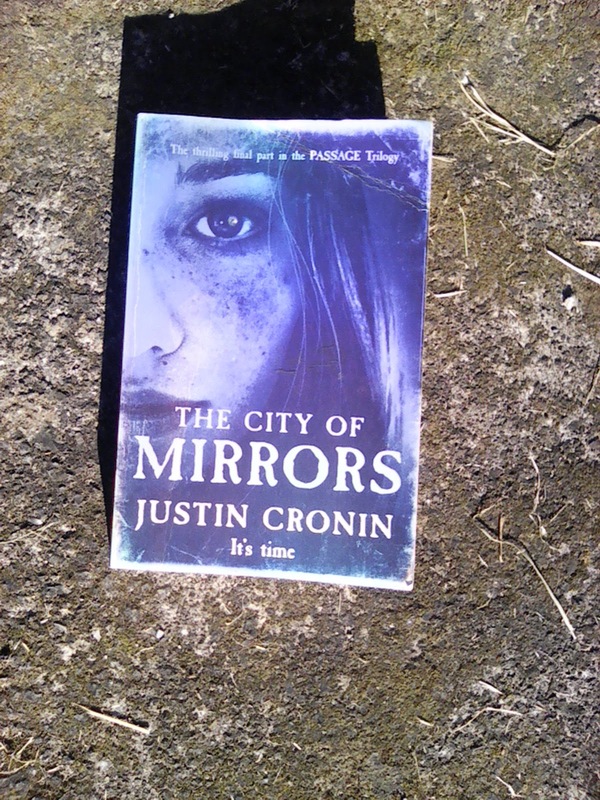 The "City of Mirrors" (2016) is the conclusion to Justin Cronin's "Passage" trilogy and as chapter 14 begins, "behind every great hatred is a love story" it introduces the main antagonist, Timothy Flanning, named Subject Zero using a first perspective flow of consciousness narrative. In this narrative Cronin presents Timothy Flanning's experiences of University, which feature an outsiders view of lives of privilege and in my opinion he gets the character of Lucessi down just right, right down to the toothpaste. My reading tends to be limited but I try to describe parallels to the small amount of classic literature I have read, Justin Cronin spends paragraphs dwelling on individual consciousness and the constitution of crowds and what constitutes life in a comparable way to Victor Hugo when dwelling on the consciousness of individuals and crowds in "Les Miserables" (1862). There are scenes of the vast scope of consciousness and creeping scenes of horror that to me evoke Bram Stoker's "Dracula" (1897), except they are placed in the sunny daylight of a Texas "western" country town. It has the Bram Stoker's obsession with technology, the source of the protagonists strength and weaknesses, agency through technology and the pragmatic solutions that their technology enables. This is significant because the technology and infrastructure are evidence of the social progress and stagnation of the protagonists communities and how the communities solve their issues, which becomes of strategic importance. The protagonists are the main objects of attention and are shown in the setting of immediately after the conclusion of the second book, "The Twelve" (2012) and two decades later as the protagonists societies evolve, adapt and decay. By this way Chronin seems to dwell on the question, what makes communities function? His description of a crowd in chapter 72 is particularly vivid and echoes with the experience of the modern world, as it is meant to probably. "As a body they were a statisticians dream, a perfect representative sampling of the inhabitants of the Great North American Empire. They came from farms and small towns, faceless suburbs and sprawling metropolises, they were every colour and creed, they lived in trailers, houses, apartments, mansions with views of the sea. In their human states, each had occupied a discrete and private self. They had hoped, hated, loved, suffered, sung and wept. They had known loss. They had surrounded and comforted theselves with objects. They had driven automobiles. They had walked dogs and pushed children on swings and waited in line at the grocery store. They had said stupid things. They had kept secrets, nurtured grudges, blown upon the embers of regret. They had worshipped a variety of gods or no god at all. They had awaked in the night to the sound of rain. They had apologized. They had attended various ceremonies. They had explained the history of themselves to psychologists, priests, lovers and strangers in bars. They had, at unexpected moments, experienced bolts of joy so unalloyed, so untethered to events, that they seemed to come from above, they had longed to be known and sometimes were.". The cadence and alliteration is just great. The epilogue is satisfying, although I would have preferred hand drawn instead of modified photoshop images, as a kind of archaeology, I guess. They give it a sense of ecological cycle and the biblical references and structures are pretty obvious and a nice touch. In all likelihood, I probably picked up "The Twelve" (2012), the first book I read of the trilogy, the second book in the trilogy, before going back to the first book, "The Passage" (2010), looking for a survival story in an apocalyptic setting, but I've stayed with the trilogy because of the scope, mysticism and psychology. I like it when novels I read surprise me, ah, in pleasant ways? I guess.